Hello! It's time for another Mojo Monday sketch (#290)! Today's sketch is brought to us by Carole. 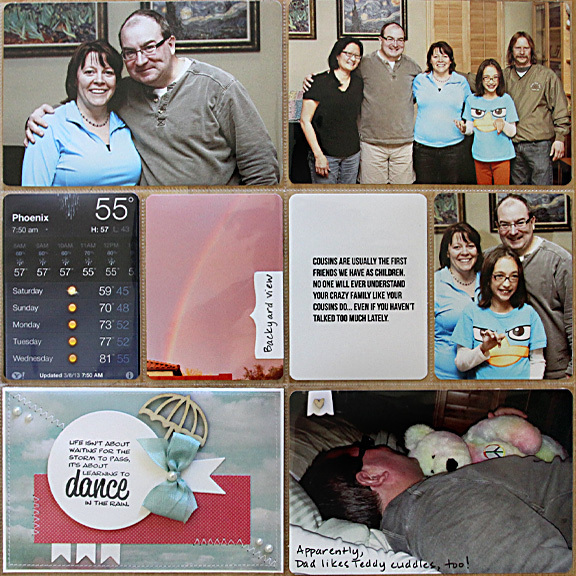 I used Remember This to create a 6x4 Project Life filler card. I used it in my Project Life | Week 10 spread. On the right side (below), I used last week's Mojo #289 card in the lower left slot. I also used a couple of elements from the Flag It Die Set on my photos. Accessories: Square punch (EK Success), Wood chip (Freckled Fawn), Seam binding, Foam tape, Thread, Sewing machine. pretty paper. the way you staggered the sentiment is so artful and fun! Oooh, I love your interpretation of the sketch, very CAS and the sentiment is awesome! Your layouts are always so well done, and the picture of you reading with Sabrina is so cute! Hugs! 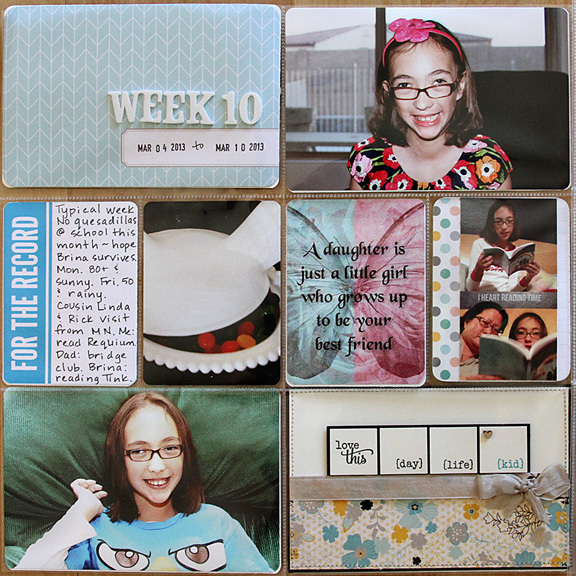 Always enjoy seeing your creative scrapbook pages! 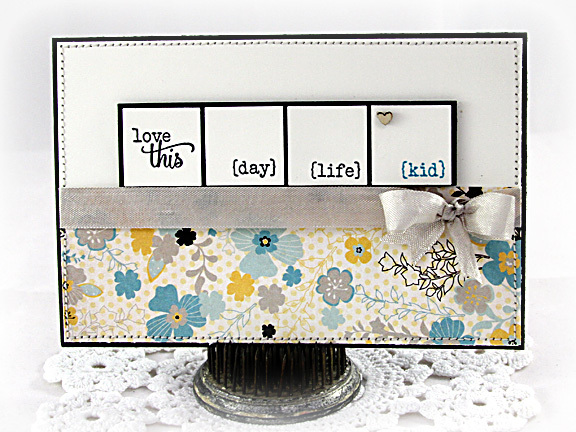 Love the way you combined the different sentiment words! Such a pretty card Stephanie! Love all your layouts too! 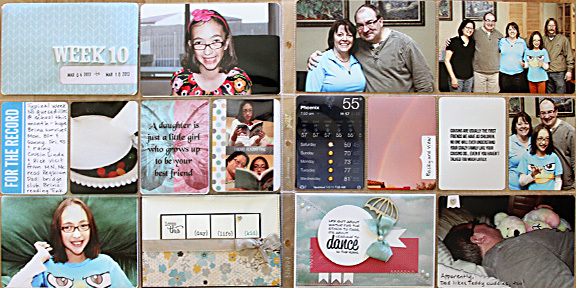 What a great way to combine stamping and photos!